how you guys post screenshots? Convert the screenshots in JPG format, for reduce the file size, and upload them with the "choose files..." below. 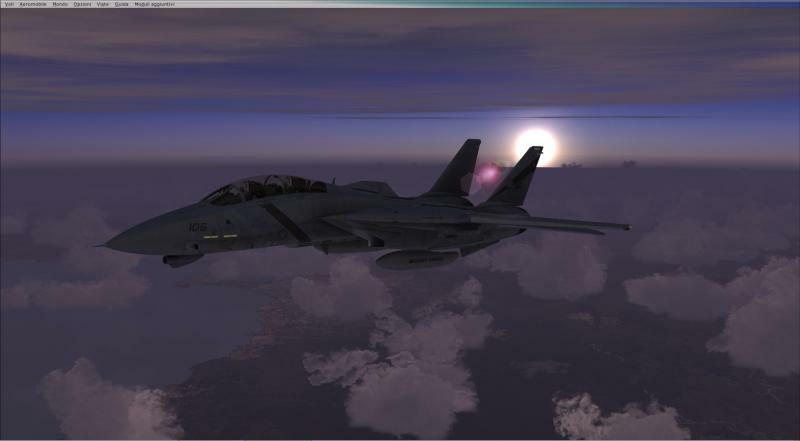 Dusted off my F-14 today, paid a visit to La Jolla and Del Mar, then back to the ship with an OK 2nd wire trap. 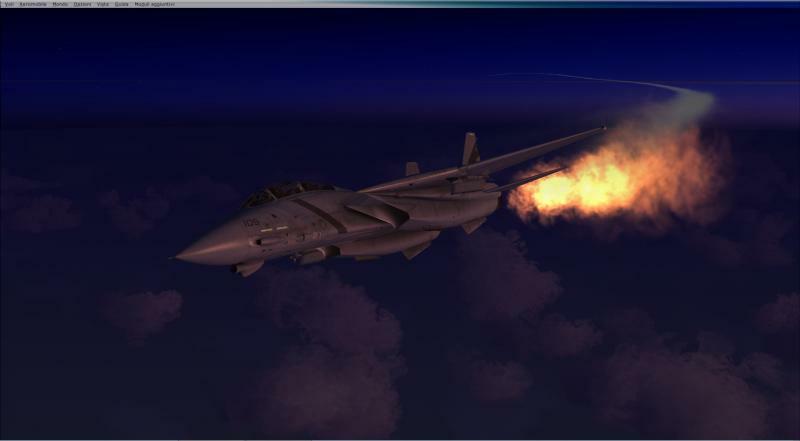 I like the fact you're only carrying one AIM-54 to save weight. The odd payloads were always more itneresting. 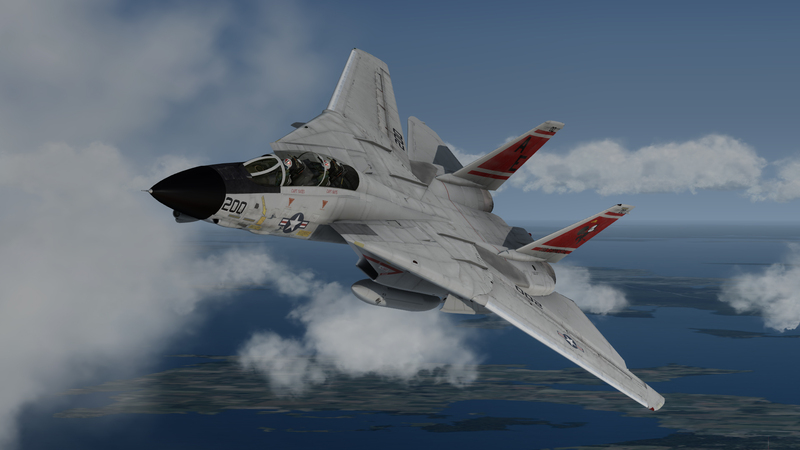 THere is some picture somewhere of a VF-1 F-14A from 1974 carrying one Sparrow on one outboard pylon, and on the other a sidewinder next to the wing glove and a solitary AIM-54 in the pancake area. 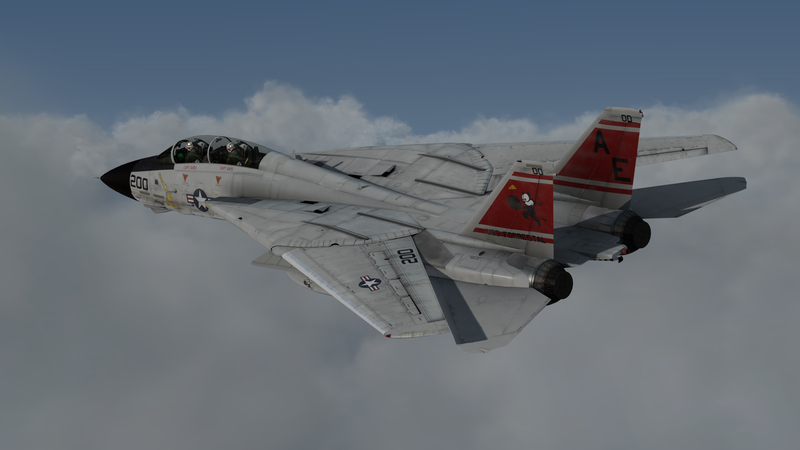 And of course being the F-14s they were with a larger beaver tail and IR seekers they were a little special. 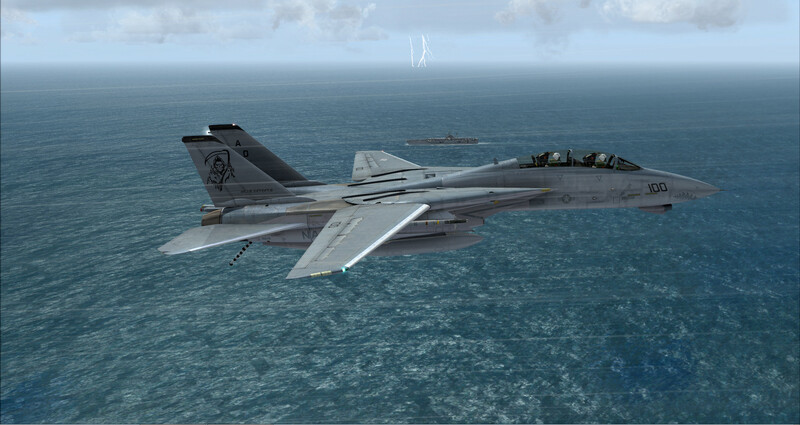 Come on folks, all your F-14s are gathering dust on the hangar deck, or what? Let's see some screenshots! And you're right - i should contribute also. 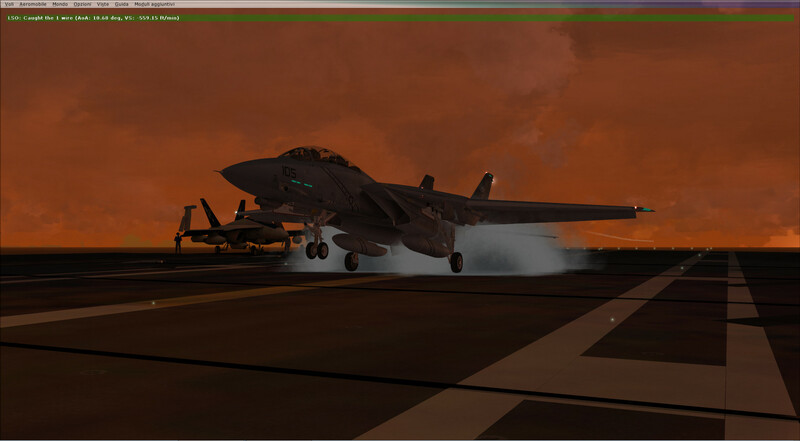 By the way, currently I only have Acceleration and Kitty Hawk Carriers installed. Better at flying, but keep these shots coming. The only thing that I'm gathering is a long collection of 1st wire traps! 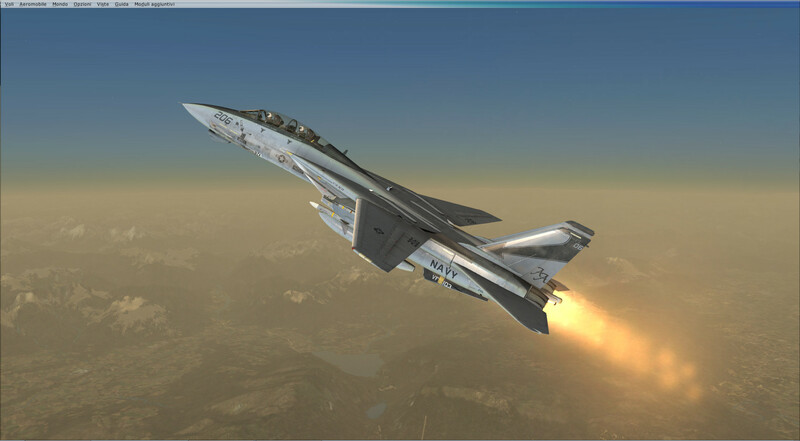 And you come back with VF-84, nice! 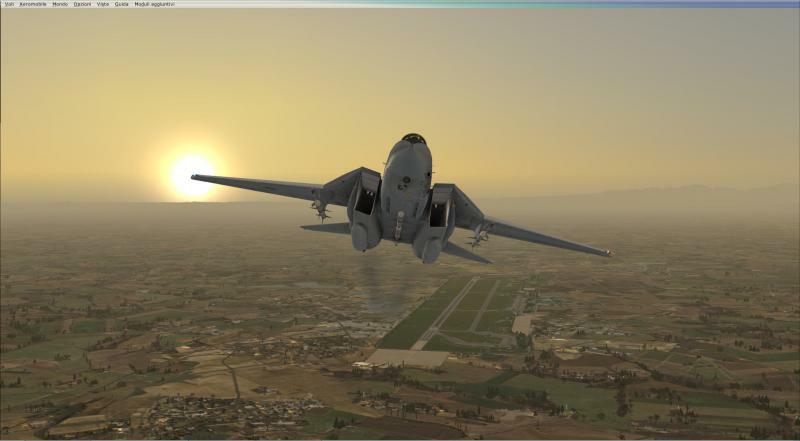 The "Flying Pencil", nice shots! couple recent shots. 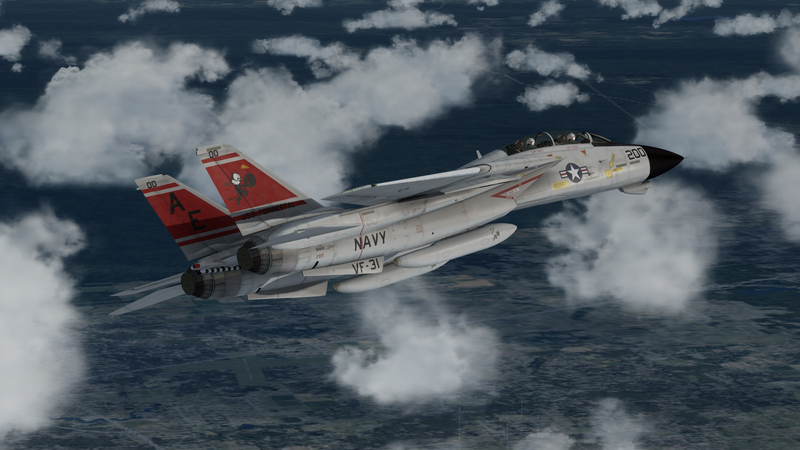 VF-31 over NAS Oceana. 1989 CAG paint P3D v3.